Take a trip down under, hang a left and find the north island of New Zealand. 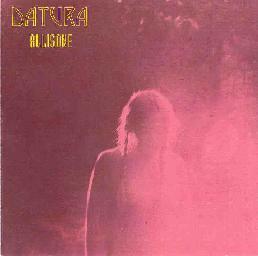 There you will find a pretty cool stoner band named Datura. Cranium Music, the lone Kiwi space/psych music label, found them also and so now their music is ready for worldwide consumption. "Allisone" is made up of seven heavy rockers and one uncredited folksy psych tune hidden at the end, but together total only about 35 minutes of disc time. OK, I'm ready to give this album a 'thumbs up,' though I think they could do a bit more to distance themselves stylistically from all those jumping on the stoner bandwagon. The gothic quality of "Mountain" was a good start, and tells me they have the tools to do just that. I'll be back to check in on them next time 'round, and see how they've made out. Datura is available from Cranium Music.